Alaina Saliba will perform with the Dayton Philharmonic Band and Summer Chorus as part of the Troy Mayors’ Concert. TROY – The Troy Mayors’ Concerts, Inc., announced the soloist for the Troy Mayors’ Concert this summer. 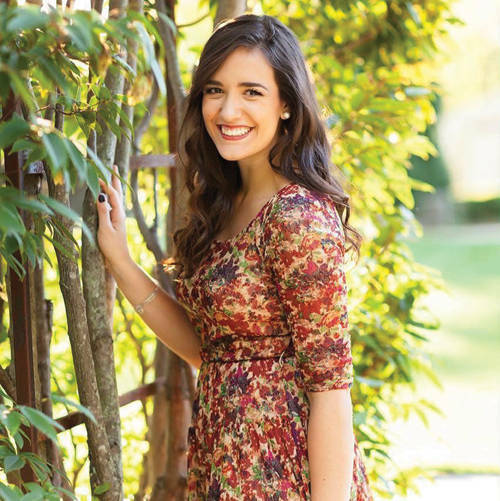 Alaina Saliba will perform on Prouty Plaza with the Dayton Philharmonic Band and Summer Chorus. Saliba is a classical soprano vocalist with the Department of Music at the University of Dayton. From Beavercreek, Saliba has performed with the University Chorale, Dayton Opera and various ensembles and theatre productions including “Die Fledermaus Turandot” and “Grease.” She enjoys teaching vocal lessons to students in her hometown community. This year marks the 26th anniversary of the event that will be held at 7 p.m. Aug. 19 on Prouty Plaza in downtown Troy. Rain location is Hobart Arena. Handicapped parking will be located on South Market Street. The concert is being presented through the generosity of The Troy Foundation, the Kettering Health Network, Premier Health Upper Valley Medical Center, the Paul G. Duke Foundation and the Illinois Tool Works Foundation with additional support from many other businesses and individuals, allowing the Troy Mayors’ Concerts to offer the concert free of charge to the public. Since July 3, 1993, the Troy Mayors’ Concerts, Inc., has been bringing quality music to Troy. Founded by Bruce and Harriet George, joined by Frank Bazler, the Troy Mayors’ Concerts, Inc., was established as a 501 (c) 3 organization governed by a Board of Trustees.